When it comes to ancient Greece, there is no mythology I love more than that Minotaur, a half-man, half-bull dwelling at the centre of a labyrinth. Minotaur’s story is quite sad. after Minos rose to the throne of Crete, he prayed to Poseidon to send him a snow-white bull to execute as a sign of support. The bull was too beautiful to kill, however, and Minos chose to sacrifice another in its place. Poseidon was displeased, and the punishment was for Minos’ wife to fall in love with the bull. She was so in love she was Daedalus make her a hollow wooden cow so she could hide inside and mate with the pure white bull. The result was Minotaur, a beast who came to require human meat. Theseus promises to be a cinematic take on a virtual reality game, with heavy narrative bringing the old story to new light. Forge Reply is yet to announce a release window or platforms, but we will be sure to keep you updated! Previously available only as a pre-order bonus from certain retailers, now King's Tale: Final Fantasy XV will become a free download on March 1 . The game is a retro-style side scroller set thirty years before the main game and the protagonist is a much younger King Regis, alongside Cid, Clarus, and Weskham. The story framing device is a fairy tale King Regis is telling young Noctis. The action will be set in Insomnia and two other locations in the Final Fantasy XV world. Summon epic astral entities to decimate your foes. Square Enix NA have confirmed that the game will indeed be free for everyone, not just players who purchased Final Fantasy XV. For those with the core game, the Episode Gladiolus DLC will be released March 28 with a new story and new gameplay features. We immediately fell for the fresh and charming visuals of this cinematic opening trailer, showing the protagonist, Setsuna Sanzenka, washing up (naked!) on the shores of an island and meeting the three heroines. He appears to suffer from partial amnesia as he claims to come from the future to save the world, but cannot remember who gave him the mission. The game is set on an island that is cut off from the mainland for fear of coming in contact with a disease called “Baimonbyō”. The three families that live on the island refuse to work together due to some long-standing difference concerning their traditions. Setsuna Sanzenka may hold the key to saving the island from destruction, but he would need to get the three main female characters to cooperate. Island is produced by Ryuichiro Yamakawa, with art and character design by Yōsai Kūchū. The opening also features the pleasing main theme “Travelers Tale”, composed by Junpei Fujita and performed by Riya. It is developed by Frontwing and is set to release on the PS Vita in Japan on February 23. A Western release has been indicated — the company revealed, via their official Twitter, that they will localise Island — though no specific date or platforms have been given so far. An anime adaptation is also planned for this year. Front wing is a Japan-based PC game developer known primarily for the Grisaia series and their recent successful Kickstarter of Sharin no Kuni. Island was originally published by Prototype and released for Windows last April. Idea Factory International announced it will release Monster Monpiece for PC via Steam on March 14. 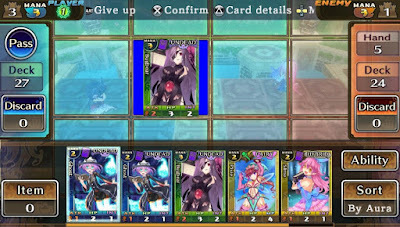 MonMon — a card battle game with the somewhat controversial 'rubbing' mechanic — was first published for the PS Vita in 2014 (it is available on the PS Store) and our reviewer Clark judged it favourably. 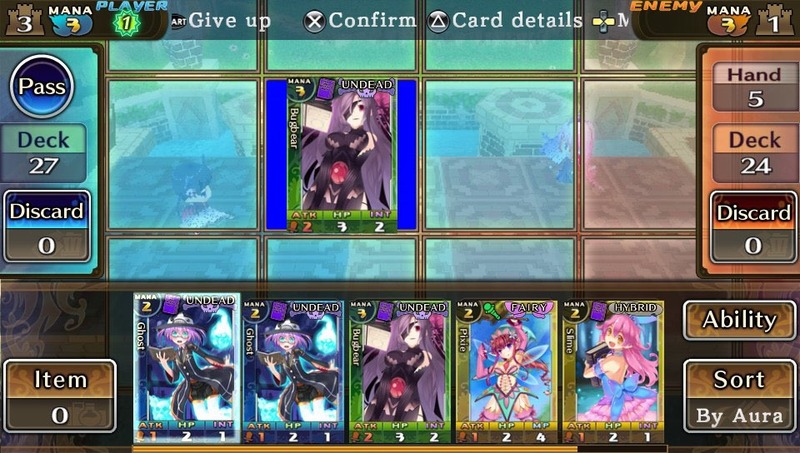 However, the PC port of Monster Monpiece will not have online multiplayer support (as did the Vita version); it at least contain all the cards from the Japanese version. We're still debating how the Rub system will work on PC ... we expect that the mouse will get a workout in the absence of a touchscreen.